Having spent almost 7 years working in electronics retail, I can be a bit of a technology snob. When it comes to trying out new tech toys I'm always excited and a bit critical, especially when we are dealing with audio. 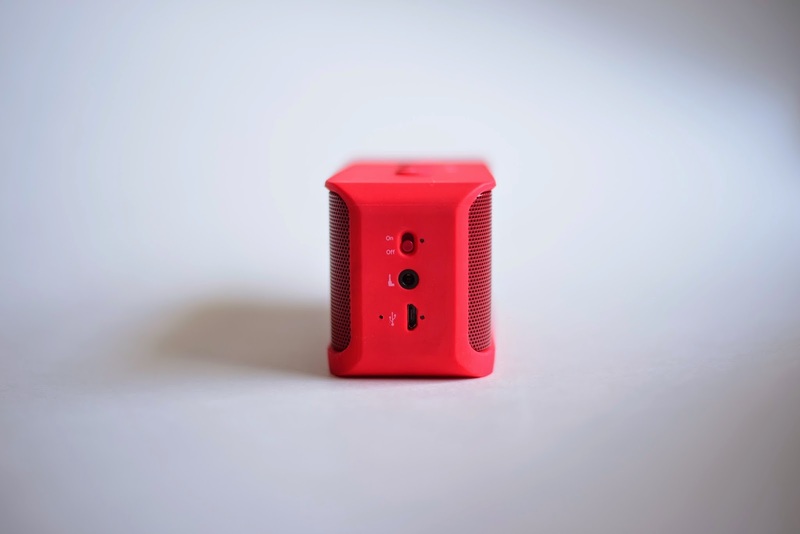 There are three things that are important to me when it comes to portable speakers: aesthetic, portability and of course sound. When looking at the Jabra Solemate Mini in the box, I've got to say I didn't know what to expect. I mean the box fit in one hand. At first I felt almost as if I were about to open up a toy... Boy was I wrong. Once opening up the box I loved how everything was packaged together. (Did I mention I'm also a packaging and branding nerd?) 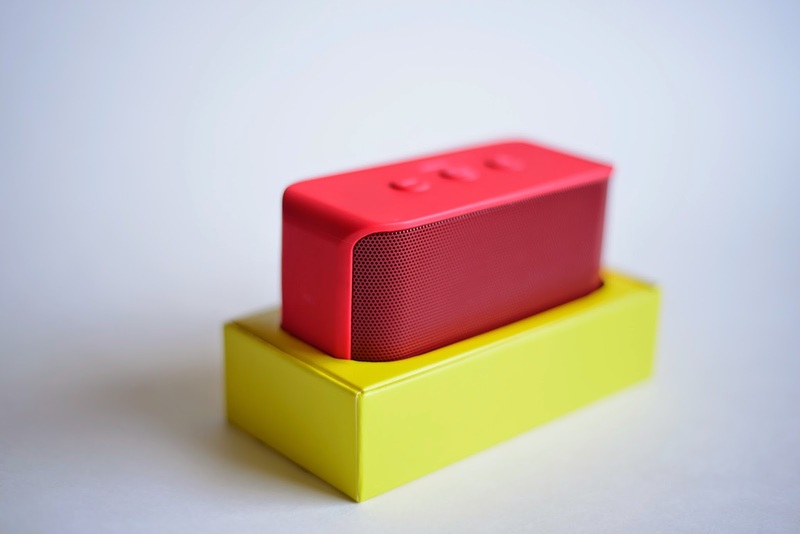 The bright red speaker really stood out from the exterior black, and interior yellow of the box. The first thing I did was take everything and lay it out in front of me. 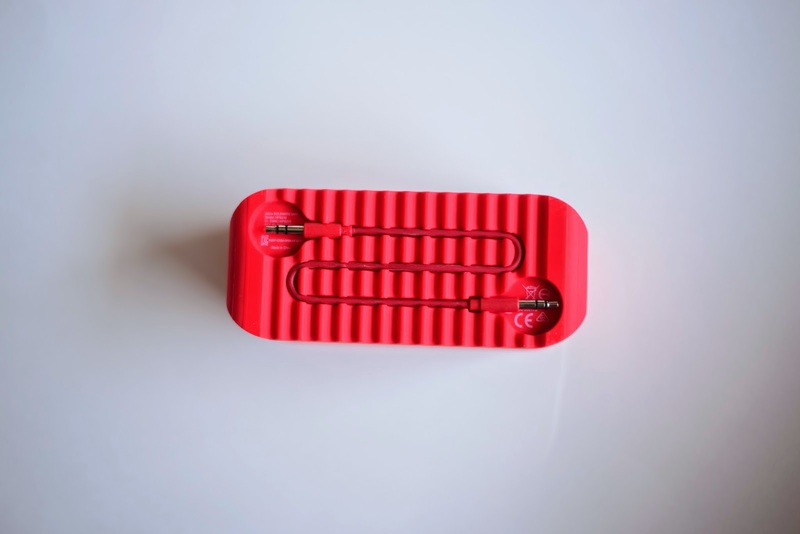 There aren't many accessories, but that's expected with portable speakers, you get what you need, a USB to charge and an aux cord that is sleekly tucked away under the speaker for easy access. I loved how Jabra incorporated the aux cord into the design, tucked away in the 'sole' of the speaker. Once everything was out of the box I was excited to really take a good look and focus on the speaker itself. This is a really beautiful sneaker... I mean speaker. But that's exactly my point, it mimics the look of a sneaker with a rubber sole along the bottom. This was my favourite part of the whole look and feel. It was different and something I had definitely never seen before with other speakers. Yes, most companies use the same rubber shock resistant material, but I've never seen it done this uniquely before. Jabra really nailed it with this aspect. 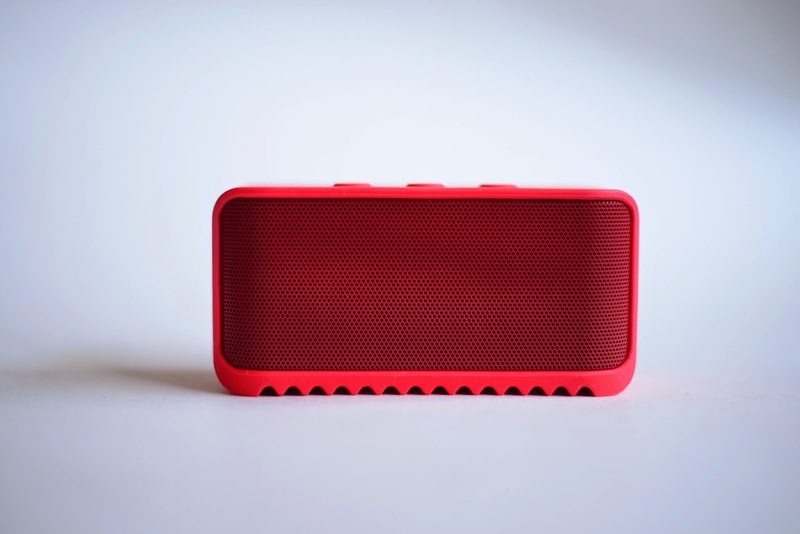 I chose the red speaker but there are other bright and vibrant colours for you to choose from. The colour is a true red, which is a huge plus for me because I find a lot of 'red' electronics come off as orange or pink sometimes. The buttons are clean and in line with the rubber of the sole along the sides and top. In no way do any of the needed functions compromise the look. This speaker does everything it needs to, while looking flawless. Like I mentioned earlier, this speaker fit in my hand while it was in the box, so portability is definitely not an issue of any kind here. I can easily see this being the speaker that I take with me to the beach. It's an easy toss into my bag before heading out the door. It takes up no more space than a can of Coke, so trust me when I say it's super portable. It's really hard to find a speaker that excels in style and portability without sacrificing sound quality and this one definitely beats the odds. I've been using this speaker nonstop since I received it. The sound is crystal clear and boy does it get loud! It's become my go to speaker for streaming shows on my laptop. In fact... It's kind of become my own mini home theatre system in my lap. This speaker's got everything I need and could want in a portable speaker, plus its super easy to use. Just Bluetooth connect it to any of your devices and you're good to go. 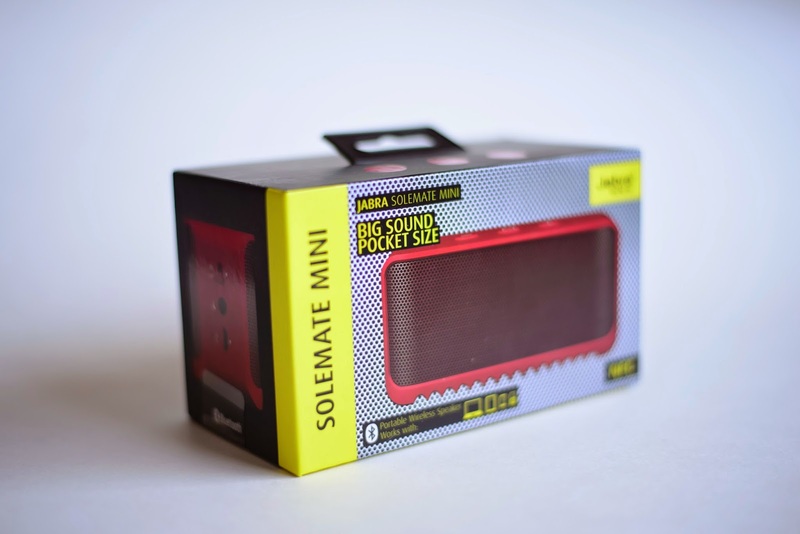 You can find the Jabra Solemate Mini at The Source & The Source online. Click for Red, Yellow & Blue.